LATAM Airlines Colombia, formerly known as LAN Colombia, and previously as Aerovías de Integración Regional S.A. (Acronym: AIRES, lit. airs), is a Colombian airline. It is the second-largest air carrier in Colombia. 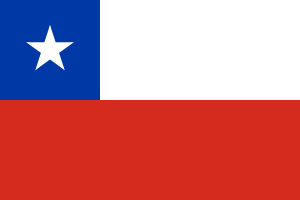 On 28 October 2010, it was announced that 98% of the shares in the previous airline AIRES had been acquired by Chilean carrier LATAM Airlines. 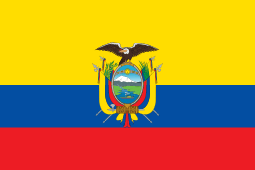 On 3 December 2011, it started operations as LAN Colombia. It became an affiliate member of the Oneworld alliance on 1 October 2013. Boeing 737-700 in the former AIRES livery. This aircraft operated AIRES Flight 8250, which crashed at Gustavo Rojas Pinilla International Airport, killing 2 people. On 28 January 2008, AIRES Flight 053 overran the runway at Bogota's El Dorado airport, en route from Maracaibo, Venezuela after the left hand main gear collapsed. The aircraft was a Dash 8-202, registration HK-3997. Probable cause for the crash was that the aircraft was carrying out a landing with an unresolved fault in the left engine, which prevented the aircraft from being able to stop within the length of runway available, causing a runway excursion. A contributing factor was the failure to correct the maintenance reports in a satisfactory manner and failure to properly follow-up on repetitive entries. On 23 August 2008, AIRES Flight 051 sustained substantial damage following the collapse of the right hand main landing gear on landing at Barranquilla-Ernesto Cortissoz Airport (BAQ), Colombia. None of the 31 occupants were injured. The Bombardier Dash 8-301, registered HK-3952, operated on an international flight from Curaçao-Hato International Airport (CUR). The approach and landing were normal, touching down about 770 metres past the threshold of runway 23. The crew noticed a vibration of the right hand main gear. The undercarriage leg collapsed. There was no fire. On 16 August 2010, AIRES Flight 8250 crashed on landing at Gustavo Rojas Pinilla International Airport, in San Andrés, Colombia, after being struck by lightning during a thunderstorm. The death of one person was reported as a result of a heart attack on the way to the hospital and another 114 were injured. One of the injured occupants later died. ↑ "Aires History" (in Spanish). Aires.aero. 1 2 "LAN Colombia to join oneworld Oct. 1". Air Transport World. September 4, 2013. Retrieved September 4, 2013. ↑ "Directory: World Airlines". Flight International. 2007-03-27. pp. 69–70. ↑ "Colombia plane crashes after lightning strike". BBC News. 2010-08-16. Retrieved 2010-08-16. ↑ "Comunicado de Prensa 06." AIRES. Retrieved on September 15, 2010. Wikimedia Commons has media related to Aires Colombia.